1) Additional charge of the post of Secretary, Ministry of Road Transport & Highways to be given to Shri Rajive Kumar, lAS (UP:1981), Secretary, Ministry of Shipping, until further orders or till appointment of a regular incumbent, whichever is earlier. 2) Additional charge of the post of Secretary, Department of Telecommunications to be given to Smt. 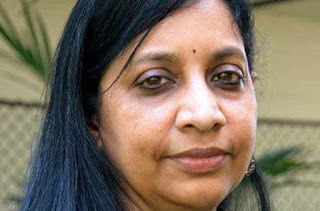 Aruna Sundararajan, lAS (KL:1982), Secretary, Ministry of Electronics & Information Technology, until further orders or till appointment of a regular incumbent, whichever is earlier. 3) Appointment of Shri Rakesh Srivastava, lAS (RJ:1981), Member Secretary, National Commission for Backward Classes as Secretary, Ministry of Women & Child Development, in the vacancy caused due to appointment of the present incumbent Smt Leena Nair, lAS (TN 82) as Secretary, Ministry of Tribal Affairs. 4) Appointment of Shri Sanjay Mitra, lAS (WB:1982), Secretary, Ministry of Road Transport & Highways as Officer on Special Duty in the Ministry of Defence. The officer will take over as Secretary, Ministry of Defence on completion of tenure of the present incumbent Shri G. Mohan Kumar on 24.05.17. 5) Appointment of Smt Rashmi Verma, lAS (BH:1982), Secretary, Ministry of Textiles as Secretary, Ministry of Tourism, in the existing vacancy. 6) Appointment of Smt Leena Nair, lAS (TN:1982), Secretary, Ministry of Women & Child Development as Secretary, Ministry of Tribal Affairs, in the existing vacancy. 7) Appointment of Shri Jagdish Prasad Meena, lAS (AM:1983), Special Secretary, Ministry of Food Processing Industries as Secretary, Department of Consumer Affairs, in the existing vacancy. 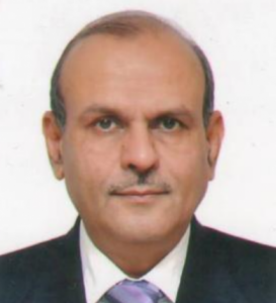 8) Appointment of Shri Anant Kumar Singh, lAS (UP:1984), Additional Secretary & Financial Adviser, Ministry of Petroleum & Natural Gas as Secretary, Ministry of Textiles in the vacancy caused due to the appointment of the incumbent Smt. Rashmi Verma, lAS (BH 82) as Secretary, Ministry of Tourism. 9) Appointment of Shri Brij Raj Sharma, lAS (JK:1984), presently in the cadre, as Additional Secretary, Ministry of Home Affairs.